The Predator A.W.A.R.E. Fair is produced by the Kiwanis Club of Brighton, with generous support from the City of Brighton, grant funding, Anadarko, and other community businesses. Thank you very much for your participation in this very important event, helping to raise awareness about predator defense, and for your support of the Brighton Kiwanis Club and the youth of our community and surrounding areas. Following is the information you’ll need about the day. If something is not covered here please contact us as soon as possible so that we can answer any remaining questions you may have. Exhibitor check-in/Info The Kiwanis booth, adjacent to the gazebo on the south side of the steps is also “Base” and the main check-in/info booth. There will be a volunteer there with your exhibitor information, credentials, and meal ticket(s). Please complete the attached information sheet and return by email ([email protected]) or fax at (303) 558-0756 as soon as possible in order to give us ample time to coordinate meal counts, prepare credentials, etc. Exhibitor set-up 9:00-9:30 (please be sure you are set-up no later than 9:45). We plan to have canopies placed, and booth numbers marked by 8:45. Parking Exhibit/presentation materials may be dropped off at the curb and we will have carts available for transporting them to your assigned space or room. Once you have unloaded, PLEASE park in the old Senior Center parking lot located on the NW corner of Bush St. and 6th Avenue to save closer parking for attendees. The parking lot is easily accessible and a very short distance away via the adjacent parking lot and alley accessed from the SE corner of Bridge St. and 5th Ave directly across from Historic City Hall. Booth Fixtures A 10×10 canopy w/anchor weights, a six foot table, and two chairs are provided for each booth (unless you have made other prior arrangements, i.e. self-provided canopy, etc.). You are responsible for your own signage, table covering, and all exhibit materials. Electricity Unless previously arranged with us, there is no electricity available. If this is a problem, please contact us immediately and we will try to accommodate, but there are no guarantees. In-booth Sales You may sell items in your booth, but you are responsible for submitting a temporary sales tax permit for the City of Brighton (attached), and for collecting and reporting sales tax and revenues. Food We truly appreciate your willingness to give up your Saturday to participate in this important event. We will have light breakfast items available in the morning, and meal ticket(s) for lunch (please provide team member names on attached info sheet) good at one of our on-site food vendors. Additionally, we will have a volunteer circulating throughout the day with water and light snacks available for you and your team. Restrooms Restrooms are located inside Historic City Hall, on the 2nd and 3rd floors, accessed via the stairs and elevator. Additionally, there will be porta potties available on the south side of the event area. Breakdown We would really appreciate you staying and not breaking down until 4:00 PM. Vehicles will not be allowed into the Historic City Hall parking lot until after 4:30 PM. On-site Interpreters We have put a call out for on-site volunteer interpreters to assist Spanish speaking attendees in the expo area. We are hoping that we will be able to provide this service, but if you have bilingual staff or volunteers, it would be very helpful. Hotel Accommodations We have been able to secure a discounted rate for hotel accommodations in Brighton for guests/participants of the Predator A.W.A.R.E. Fair for the nights of Friday October 3rd and Saturday October 4th. Please indicate on the attached info sheet if you need additional information regarding hotel accommodations. See you bright and early Saturday, October 4th morning! Download Participant Info Sheet Here. 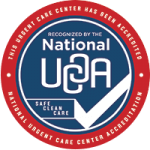 Advanced Urgent Care & Occupational Medicine now has two convenient locations! Serving Brighton and Northglenn communities. We Care. Every Day. We are dedicated to provide accessible, high quality and compassionate urgent care to our community with the integrity, dignity, respect, and the involvement of community physicians.